Hopefully we’ve all enjoyed our moment of shadenfreude over Bill O’Reilly getting the boot at Fox News yesterday afternoon, because—as often happens when wealthy, powerful white men get in trouble for something—O’Reilly’s going to be just fine. Better than fine, even: Not only does he still have a highly profitable book contract, as we reported yesterday, but he’ll also be walking away from Fox News tens of millions of dollars richer. 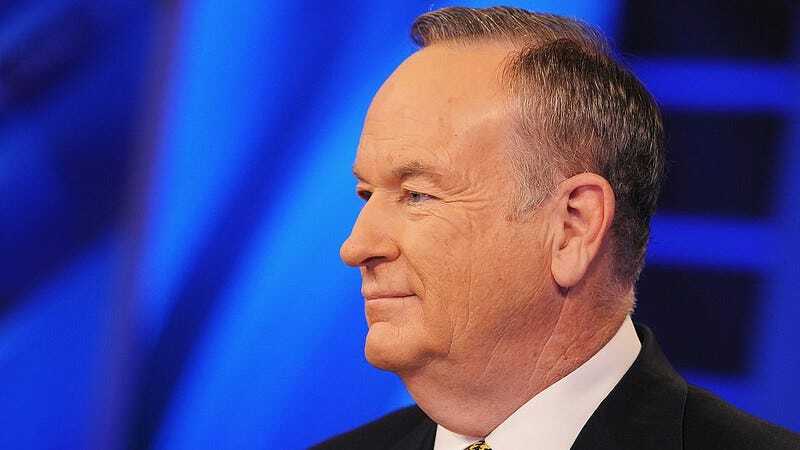 That comes from CNN Money, whose anonymous, ”well-placed” sources say that Fox is on the hook for one year’s salary as part of O’Reilly’s exit agreement, which in this case means up to $25 million. That’s not even the full amount of O’Reilly’s contract, which extended to late 2020/early 2021. But CNN reports that Fox, knowing that The New York Times was investigating harassment charges against O’Reilly, worked language into his contract giving them an “out” should the network see fit to rid itself of him before then. Similarly, Fox paid now-former Fox News CEO Roger Ailes more than $40 million when he was forced out in the wake of his own sexual-harassment charges, money he reportedly used to buy a $36 million house in Palm Beach, Florida. Now that you’ve read all that, here is a video of an adorable little baby kitten and a fluffy puppy who are best friends, for your blood pressure’s sake.